Let’s have a little sugary-sweet fun today, Pittsburgh! 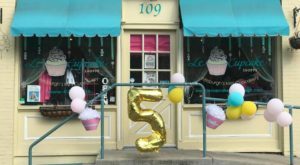 Our hometown certainly lays claim to plenty of bakeries and delicious spots to stock up on goodies, all year around. 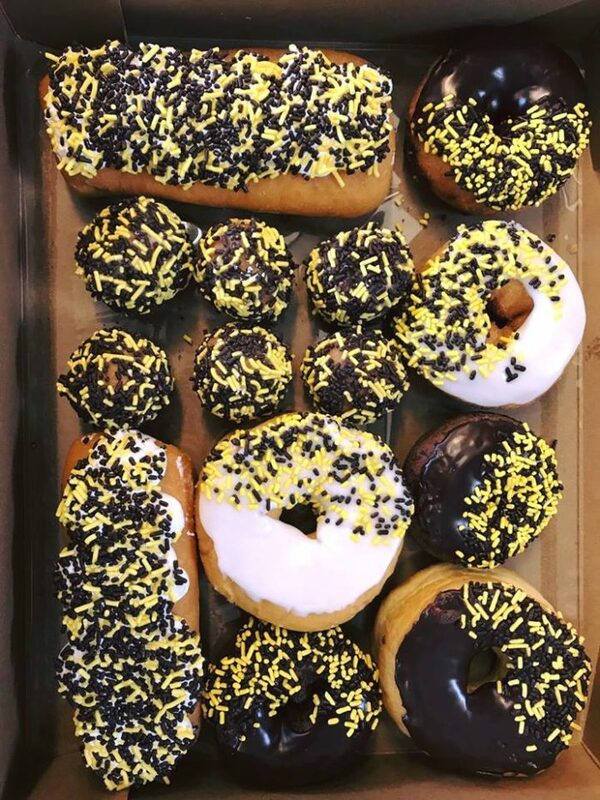 But, there’s just something about a really good donut that hits the spot – whether for breakfast or a snack when you’re on the go. 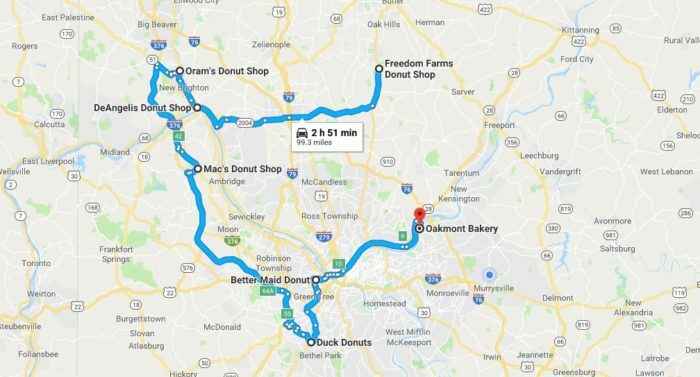 Today, we’re setting off along the Pittsburgh donut trail where we’ll visit some of the area’s best donut shops and bakeries. Click here for directions for the donut trail. Ready for the most delicious day trip ever? 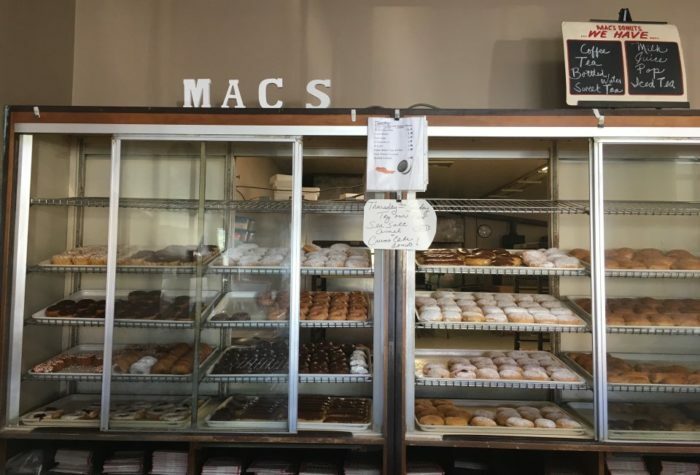 Visit some (not all, by any means) of the area's best donut shops and bakeries along this donut trail. Ready? Off we go! Let's start off our day trip at Freedom Farms Donut Shop in Butler. Browse the generous selection of homemade donuts, ranging from French toast donuts to glazed with chocolate icing. But, it doesn't stop there. 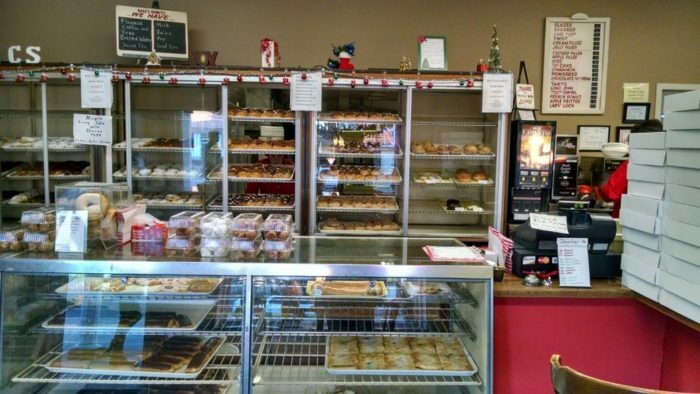 The quaint donut shop also serves an assortment of other treats, including Danish, scones, cookies, and donut holes. Bring your pooch along, too, for one his very own treat. Our next stop takes us to an old school donut shop that's been delighting Western Pennsylvanians for more than 74 years. 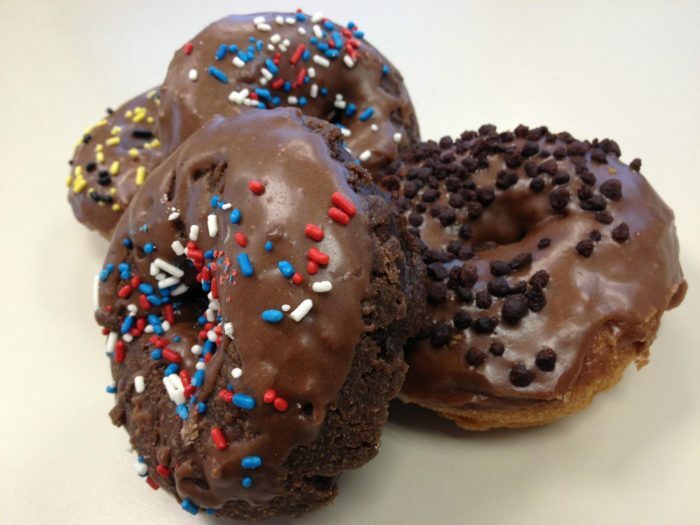 DeAngelis Donuts stands apart from the competition in that it fries its donuts in vegetable oil rather than lard. 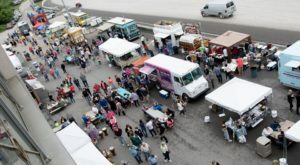 Peruse the delicious offerings that include such donuts as maple, brown sugar, chocolate, and cinnamon sugar. 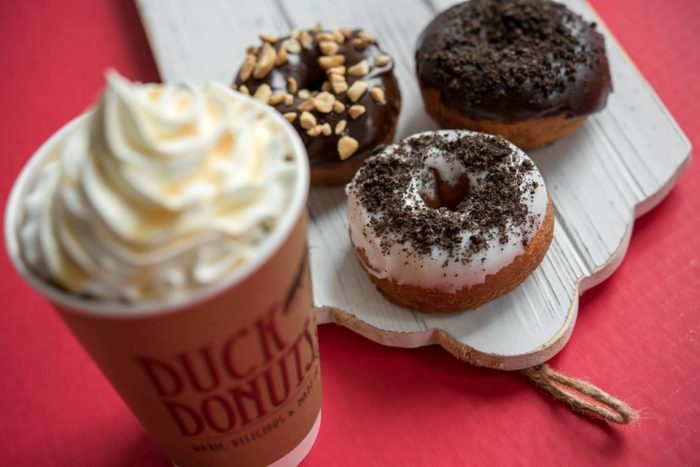 Pair your donut with a hot chocolate, classic or flavored coffee, or fruit juice. 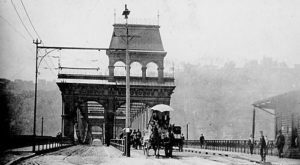 Ready for another Western PA tradition? 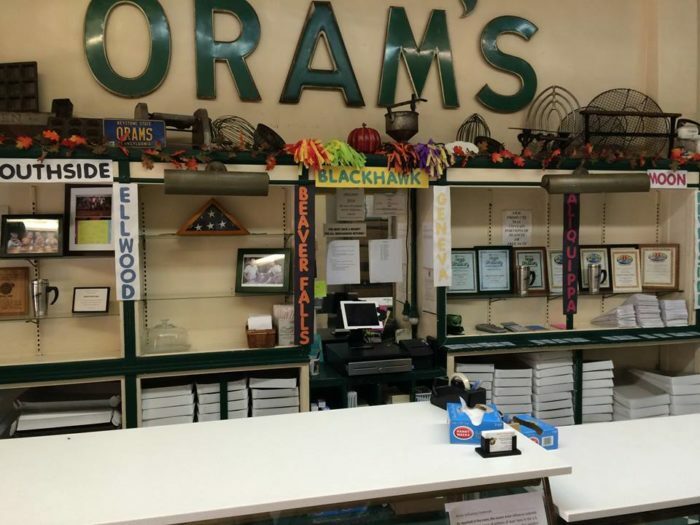 Off we go to Oram's Donut Shop, a staple in Beaver Falls for 80 years. 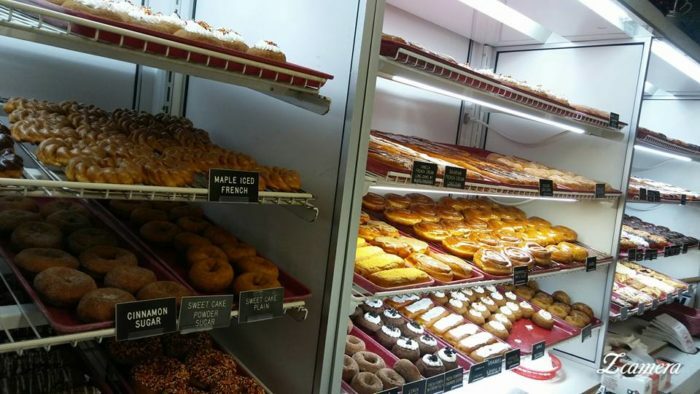 Now you're in for a delicious dilemma: What kind of donuts will you try? How about a filled donut, like the jelly, creme, or custard? Or, perhaps honey raisin glazed, blueberry glazed, or toasted coconut? 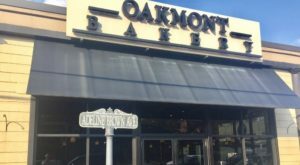 Oram's Donut Shop is also well-known for its famous cinnamon rolls. Our next stop takes us to Mac's Donut Shop in Aliquippa. 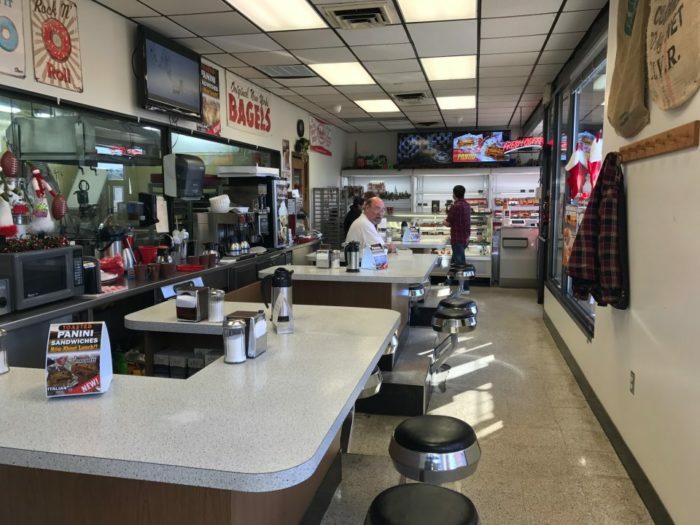 The donut shop has been a popular stop for locals for more than 60 years. Take a peek at the assortment of donuts in the display case. 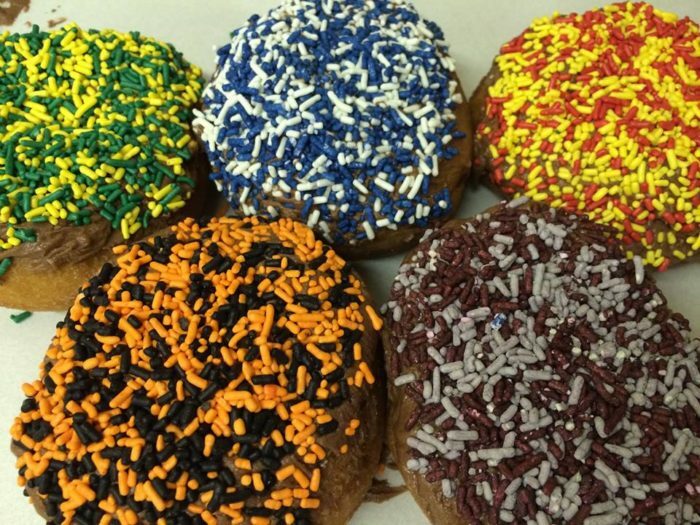 Choose from such delicious options as glazed, cannoli donuts, lime cake donuts, and s'mores donuts. 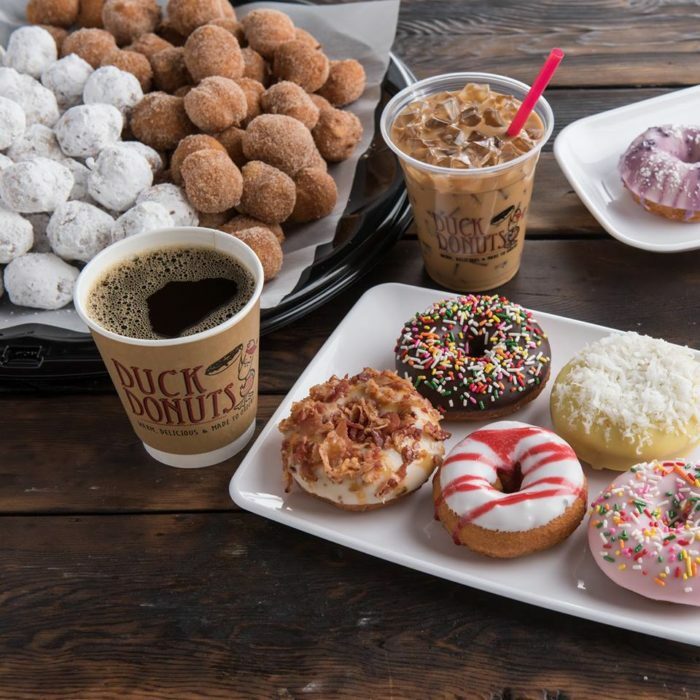 Duck Donuts, a North Carolina original, made its Pittsburgh debut in 2017. 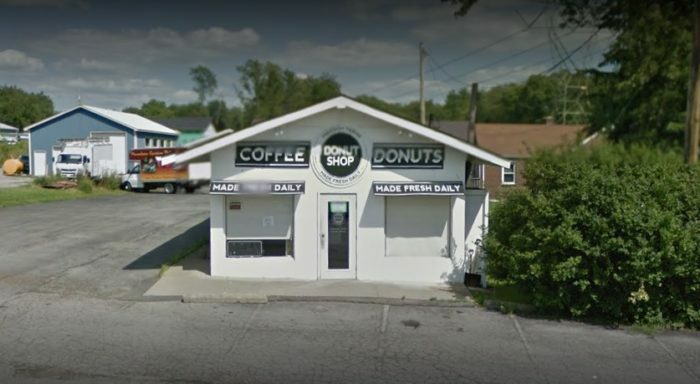 Its Upper St. Clair location offers a spectacular choice of donuts, from the classic glazed and cinnamon sugar to vanilla cake. Even better? You can opt for a made-to-order donut, too. It starts with a vanilla donut and you add your favorite toppings, such as sprinkles, drizzle, and graham crackers. Keep an eye out for Better Maid Donuts, or you just might miss it. 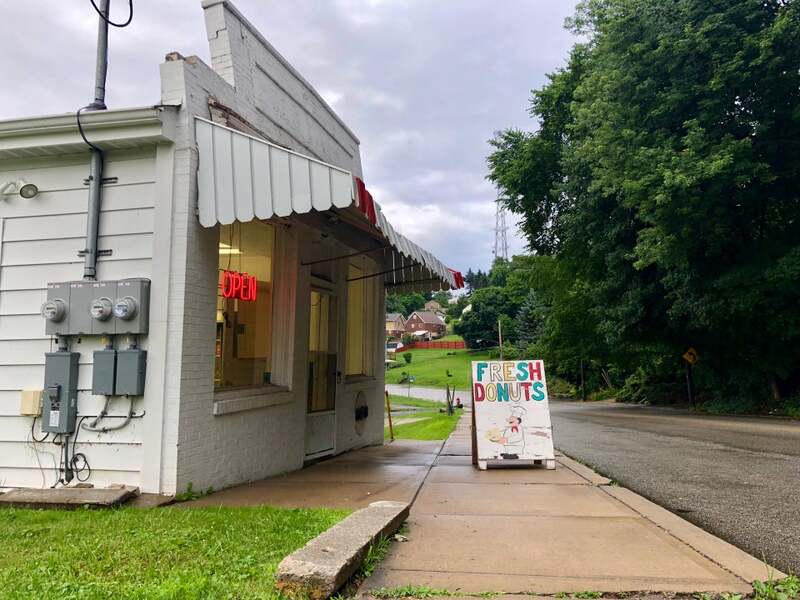 The tiny donut shop has been a Pittsburgh favorite for more than seven decades. Order from such popular donuts as cake and glazed. 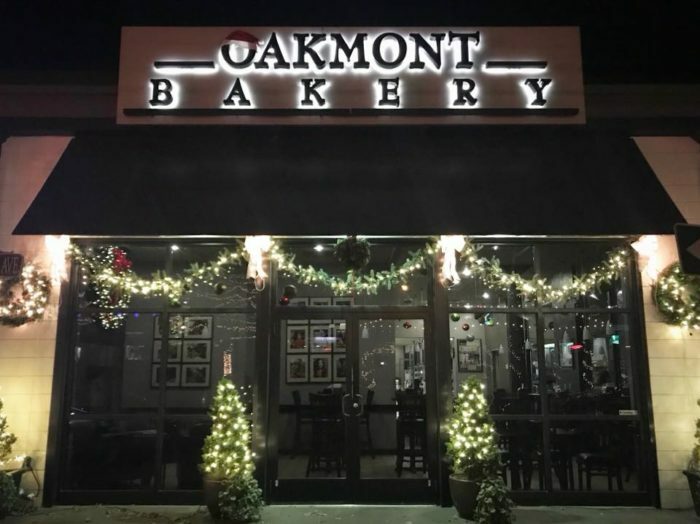 And...our final stop takes us to Oakmont Bakery. 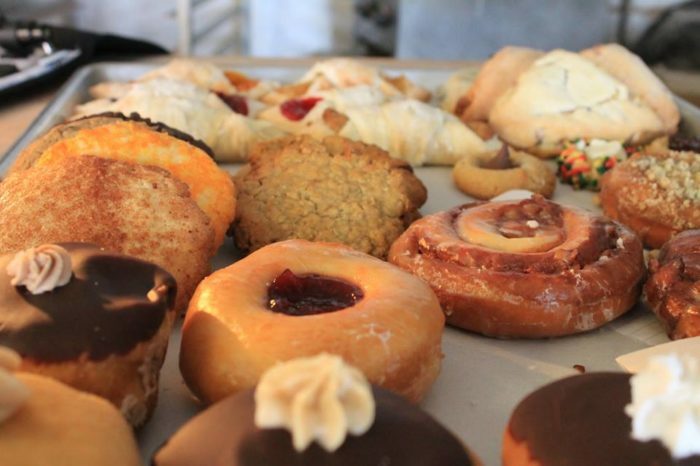 Of course, you'll find a spectacular assortment of baked goodies in addition to the mouthwatering donuts. So, what'll you have? A maple bacon donut? Other popular flavors include Boston cream, apple-filled, maple iced, sour cream, and powdered. 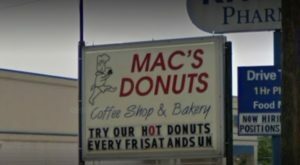 What other donuts shops would you add to the Pittsburgh donut trail? Let us know in the comments! 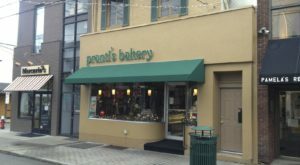 And, if you love a good Pittsburgh tradition, try the famous burnt almond torte at Prantl’s Bakery. Click here to read more.